When former Hopkinton, Massachusetts school bus driver Robert Murphy was arrested for his third offense OUI, Cathy Macleod said she was shocked. She had no idea about the first two convictions – and she’s Hopkinton's superintendent of schools. “By the time it gets to the district, the assumption is that those things have already been looked at, quite honestly," Macleod said. The state cleared Murphy for a school bus driver certificate because the law allows bus drivers to have multiple drunken driving convictions as long as they didn’t happen within the last five years. 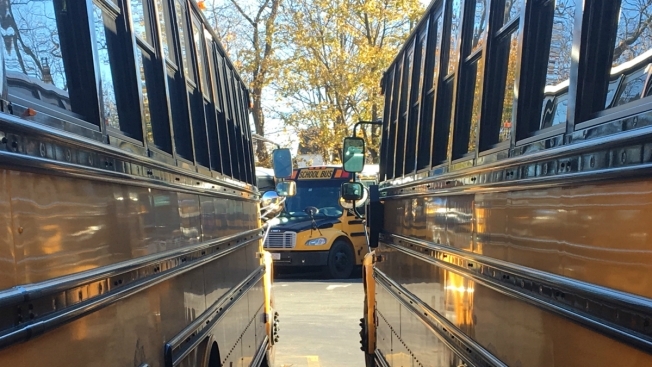 At the same time, the Massachusetts Registry of Motor Vehicles insists school bus drivers must have a “clean” driving record to transport kids, but does not lay out what “clean” means. Precious Cargo: Who's Driving the Bus? We pulled the driving records of school bus drivers involved in recent crashes. We got through 28 and found half had eight or more significant incidents on their record – crashes, speeding, suspensions, failure to stop for a school bus. More than a third can still drive kids. We asked state Sen. Anne Gobi if the state is dropping the ball. We also put the issue to Gov. Charlie Baker. “This is a good example of where you sort of need constant, ongoing dialogue between the locals and the state," he said. The RMV does alert a school or bus company if a driver’s license has been suspended, and Baker pointed to new policy requiring police to notify the RMV if a bus driver has been arrested. But driving infractions can pile up with no suspension or arrest. Before one bus driver was fired for an alleged road rage incident with kids on the bus, he was found responsible in two crashes, four speeding tickets and two failures to stop. And before another driver’s last crash, she was in four other accidents and found responsible for five speeding tickets and two other infractions. The only time they were suspended was for not paying court fees – not for any of their driving infractions. Baker didn't want to get into whether people like this should be driving school children. “Without knowing the specifics of any particular case, I’m not going to comment on that. The loophole we were looking to close is closed,” he said, before walking away. Gobi disagrees. We asked her how quickly the process needs to change. She said she is exploring ways to tighten up the system through the Legislature.